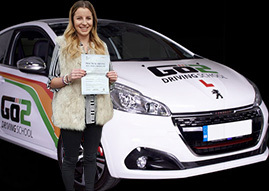 Congratulations to Rosie Dinh of Spondon, Derby on passing her practical driving test on the 7th of September. She managed to control those nerves and produce a good, safe drive. 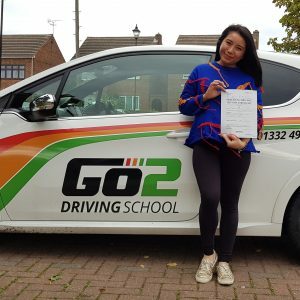 Pleasure working with you, wishing you all the best in the future from your driving instructor Matthew Durrant and all the team here at Go2 Driving School.